My country nest: Una cascata di..bottoni! 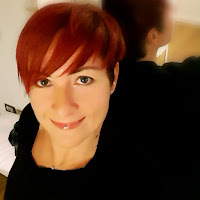 ho guardato un pò di foto nel web (basta digitare button necklace su google immagini ed esce di tutto) e poi c'ho provato. I'm fed up with this hot weather! 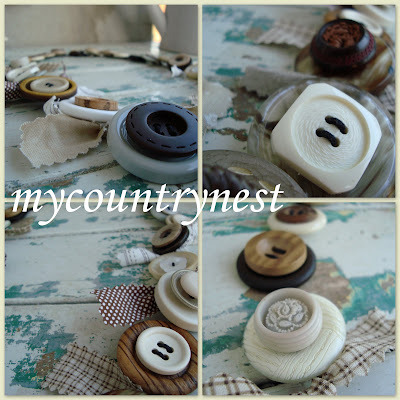 yesterday I just needed to do something manual but without many efforts..and so I made my first button necklace. I saw a few pics on the web and then tried. I'm quite satisfied with it..even if it turns a lot..but I suppose it's normal when you use soft thread and not a metallic one.. I like the noise so much! a mix of plastic and wood..
come primo risultato non male..anche perchè ha i miei amati colori panna e cioccolato..
Che dite? suggerimenti per un diverso infilaggio? Do you like it? Have you got any suggestion on how to string others?